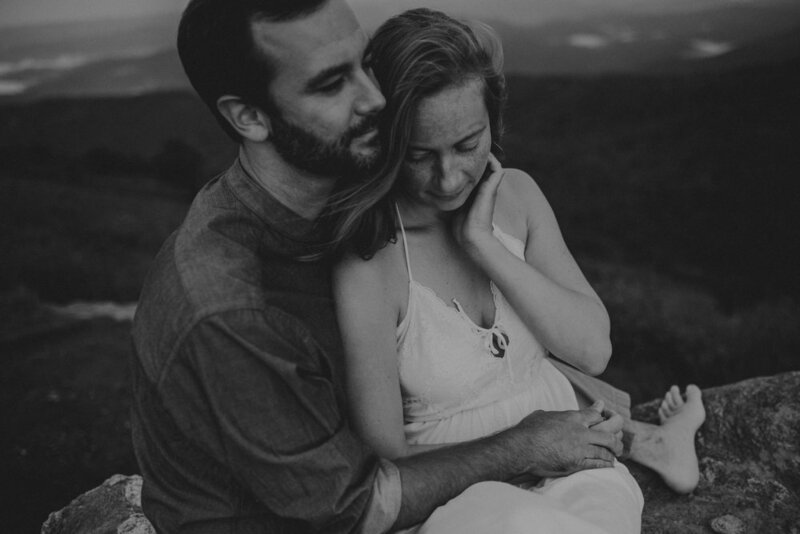 Jenni and Zach are Asheville locals that never had any professional wedding photos done. They had a small intimate backyard wedding the home of Zach’s parents in Florida. They are now proud owners of a popular Asheville restaurant called Elements Real Food, which is a delicious vegan cafe that everyone should check out. 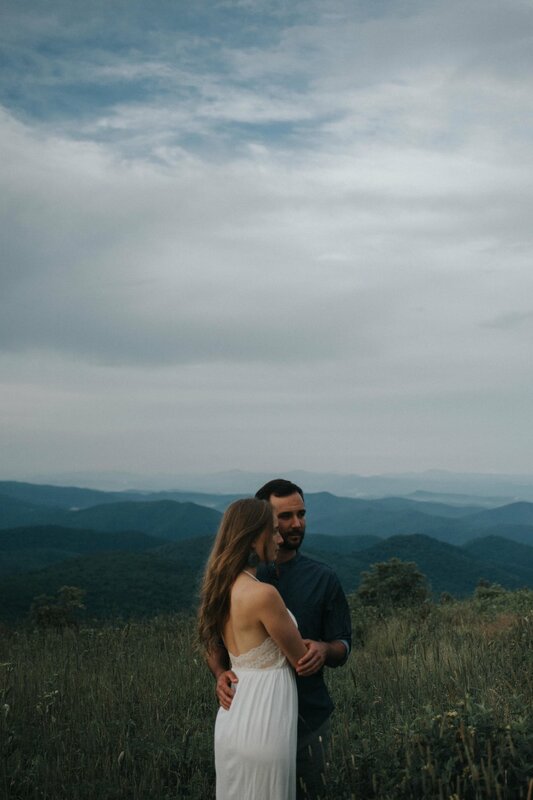 On the day of our photoshoot, Jenni, Zach, and I all met up in Asheville proper, and all hopped in Zach’s van to drive up into the mountains. 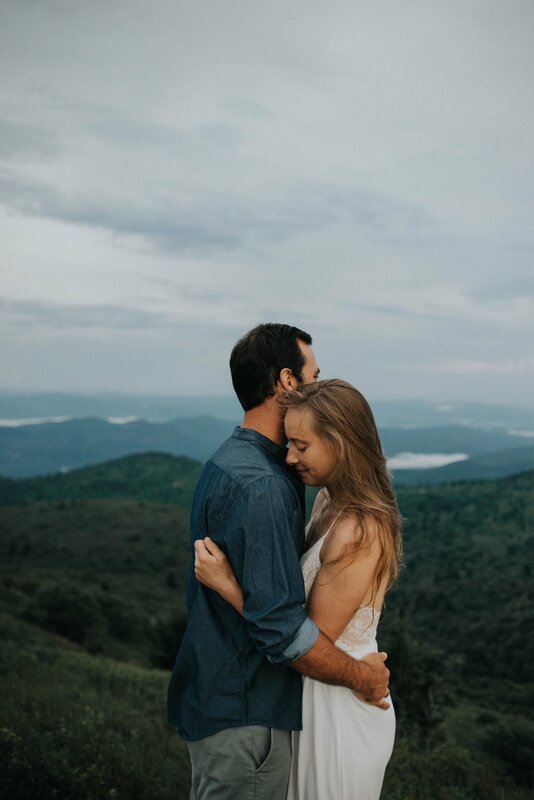 We chose Black Balsam Knob for their session. Jenni wore her wedding dress that she found on Etsy which I thought was really special. 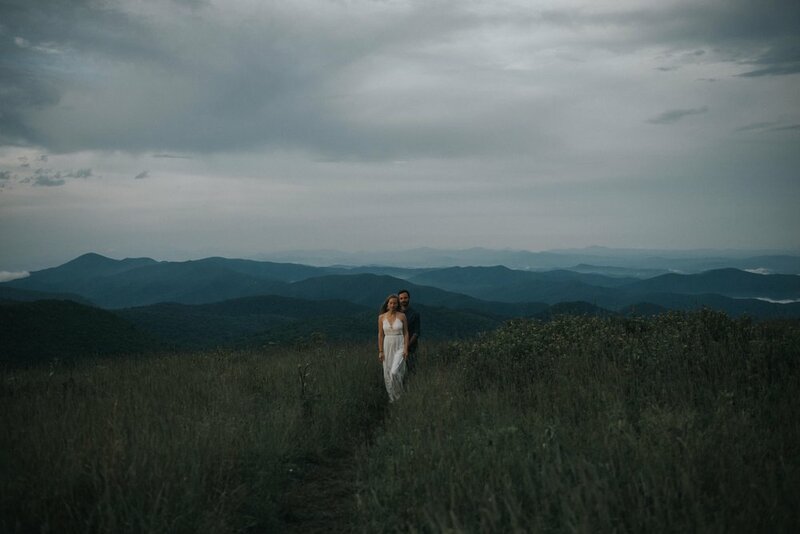 I loved the simplicity of her dress and thought it was so perfect for what this I was trying to capture during this photoshoot.